Farmers and distributors in North Dakota will soon be able to grow, produce and sell industrial hemp. This is yet another victory for those who have been pushing for an entry for local production in the U.S. market. Last year, the Hemp Industries Association estimated the plant, which has a host of valuable purposes, ranging from baby care to foods to auto parts to building materials to clothing. The hemp market nationwide was estimated to be around $620 million in 2014. Even though hemp has no intoxicating properties, it’s been heavily restricted by federal authorities in the same manner as cannabis. That changed when President Barack Obama signed the 2014 Farm Bill, which contained an amendment that allowed for the legalization of hemp cultivation and production for research purposes. The measure also allowed states that had legalized the crop to continue growing it within the parameters set forth by the state’s agriculture department and local research institutions. As of right now, 21 states are legally allowed to grow hemp. That includes California. The new law in North Dakota exempts the need for a federal stamp of approval before farms can begin growing and processing the plant. Although the issue of legal hemp cultivation is one that seems to have gained traction rather quickly in the U.S., the reality is we are the only developed country that doesn’t cultivate hemp industrially on a large scale as an economic crop. That’s according to the Congressional Resource Service. There are more than three dozen countries that grow and produce hemp industrially, including Great Britain, Germany, Italy, Switzerland, Australia, Spain, Sweden and China. 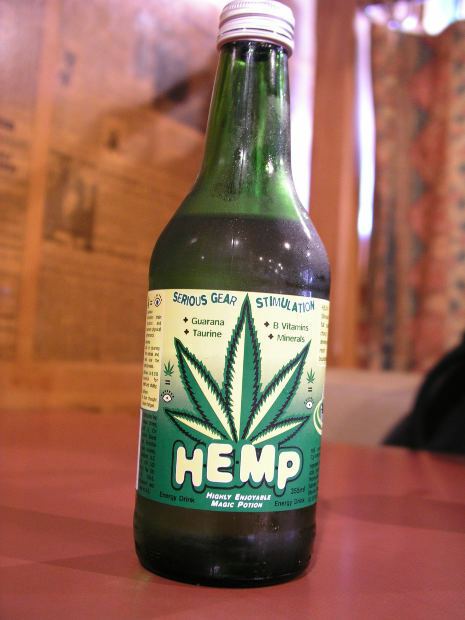 The largest importer of hemp products is the U.S. Most hemp fiber and related products are imported from Canada and China. Very clearly, there is a demand here for these products, and locally-produced crops could help drive down costs and improve local economies. In North Dakota, HB 1436 passed 87-5 in the House and 46-1 in the Senate. Other states considering hemp legalization measures include Missouri, Kansas, Florida, Minnesota and Massachusetts. According to a recent analysis by The Hill, part of the reason these laws have been passing so quickly is because they are receiving a groundswell of support from conservative groups as well. In fact, a group of republicans has introduced the Industrial Farming Act of 2015, which would remove marijuana from the Drug Enforcement Administration’s list of banned drugs. Although hemp is grown from the same plant as marijuana, it’s generally accepted that it is less potent and isn’t banned for purposes of producing everything from fuel to food. With such a wide range of practical commercial applications, conservative lawmakers are now arguing opening the doors for hemp cultivation and production nationwide makes good economic sense. The federal bill is backed by republicans in Colorado and Kentucky, as well as Democrats from Oregon.